Hoping to create a smile from ear-to-ear? Look no further than this happy face mug filled with beautiful roses and daisies. No matter what the mood is, this popular arrangement is sure to brighten up the room. 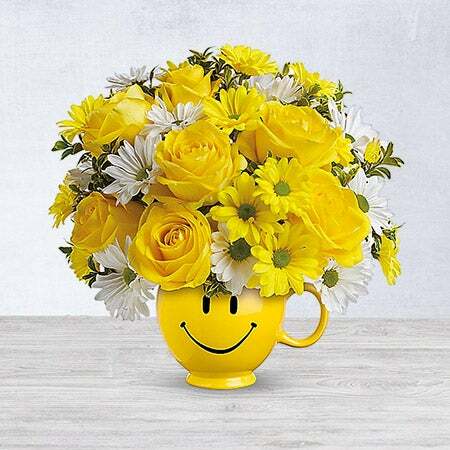 Yellow roses, spray roses and daisy spray chrysanthemums along with white daisy spray chrysanthemums and oregonia are delivered in the one and only Be Happy® mug.